PLEASE ARCHIVE WTS: MdC, Shavemac, lots more! NEW YEARS PRICE DROPS!!! For sale is a lot of stuff out of my den. Paypal preferred. Shipping not included. All of these soaps are new. 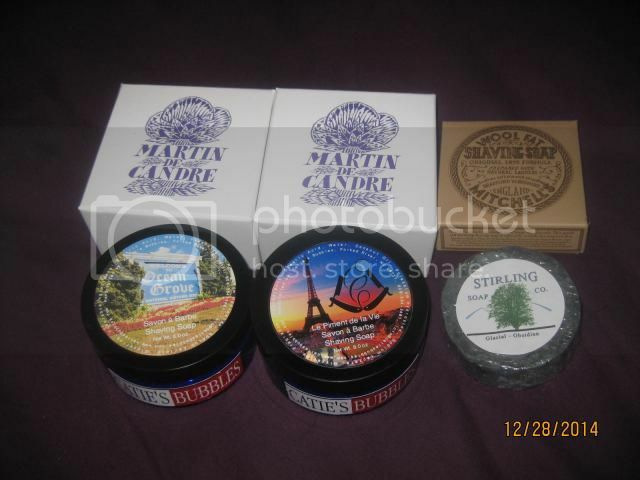 2 Martin de Candre original Lavender scent 200 grams. $53 each - NOW $50 ALL SOLD! Mitchell's Wool Fat - $10 NOW $9! SOLD! Catie's Bubbles Ocean Grove - $17 SOLD! Catie's Bubbles LPV - $18 SOLD! Stirling Glacial Obsidian - $4.50 SOLD! 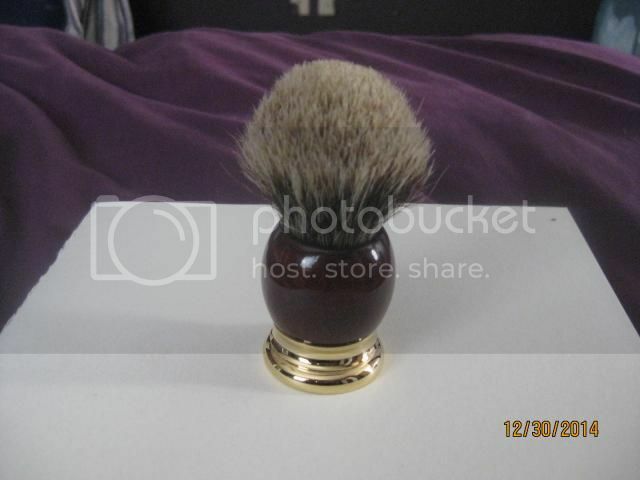 Shavemac 233 with Bruyere wood, 2 band D01, 24 mm. I am the only user of this brush. I've used it just enough that it's starting to break in and really soften up. 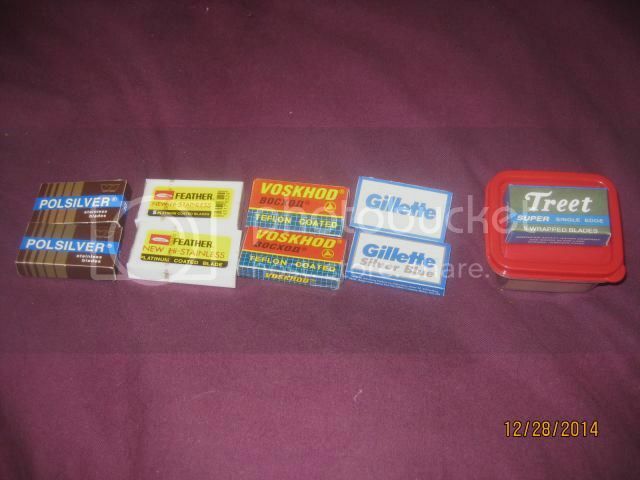 I am only selling this because I have 3 other Shavemacs. These sell for over $200 new. Mine - $135 NOW $120! 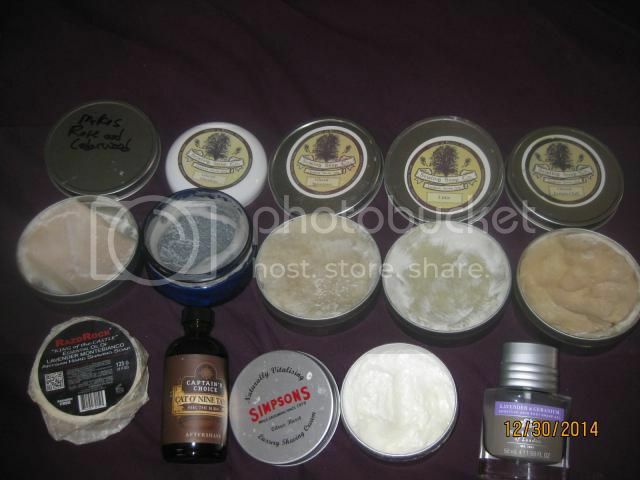 All of these soaps/creams are used but some are overfilled from extra pucks. Mike's Rose and Cedarwood 90% - $9 NOW $8! SOLD! Stirling Glacial Obsidian 50% - $3 SOLD! Stirling Glacial Spearmint 175% - $10 SOLD! Stirling Lime 90% - $5 SOLD! Stirling Glacial Lemon Chill 125% - $7 SOLD! Razorock KOTC Lavender 98% - $5 NOW $4! Captain's Choice Cat O Nine Tails 99% (I love it, wife hates it) $14 NOW $12! Simpson's Citrus Burst Cream 90% - $12 NOW $10! St James Lavender and Geranium AS Balm 98% - $10 NOW $9! Triad Brass Handle purchased by me for $65. Both for $40 NOW $35! SOLD! Fine Snake Bite - 95% - $12 SOLD! Whipped Dog Synthetic Brush - $7 SOLD! British Everready 1912 w/broken Art Deco case - $15 SOLD! Gem SE razor - $4 NOW $3! Ikon Bulldog - $27 SOLD! Razorock razor stand - $13 NOW $12! Ikon razor stand - $16 SOLD! I have a lot of tucks of each. I just put two of each in the picture. Polsilver made in Poland, 10 blades each, discontinued. $3/tuck NOW $2.25 EACH! Feather 10 blades each - $3/tuck NOW $2.25 EACH! Voskhod 5 blades each - ALL SOLD! 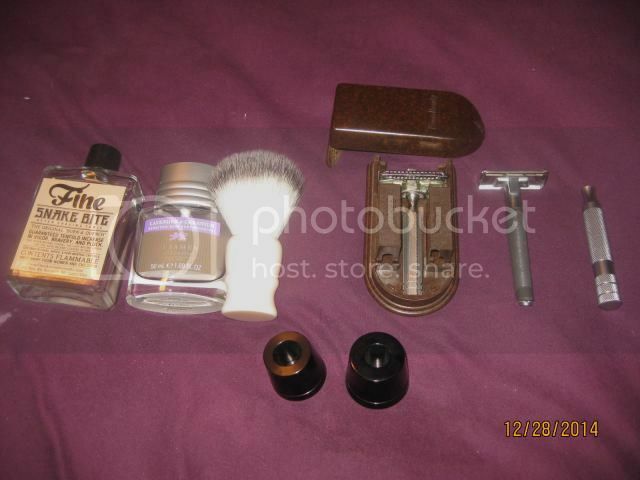 Gillette Silver Blue 5 blades each - ALL SOLD! bundle of 30-35 treet - $5 NOW $3! Quote: Selling individual fluid decants or group lots of decants (of eau de toilette or cologne, for example) is considered a vendor activity and is not allowed. This also includes the selling of "slices" of a puck of soap. Only TSN vendors are allowed to sell decants or samples. 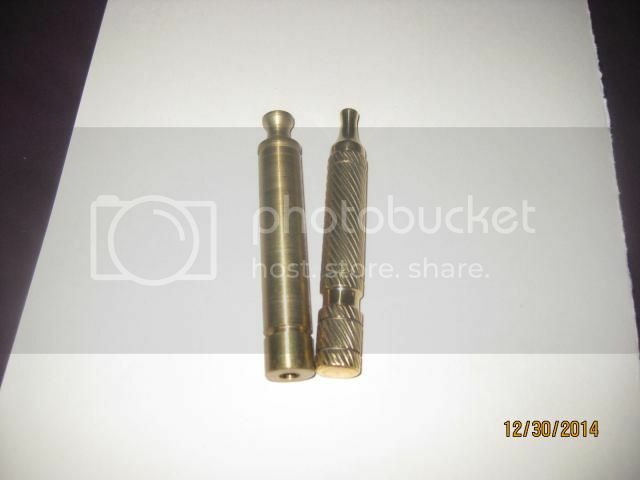 MdC samples have been removed. BIG NEW YEARS PRICE DROPS!